As ‘Romany’, G. Bramwell Evens wrote 10 books and many booklets, mostly natural history for children (other writing is discussed on the Romany’s writings page). All can be obtained second-hand (sometimes with some determination!) and with only one recording surviving (for details visit our Lost Half Hour page) these are closest we can get to Romany’s style of natural history broadcasting. 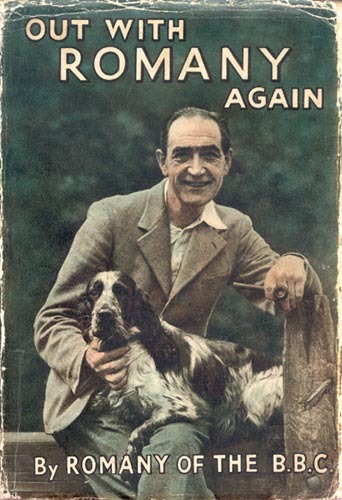 Romany’s son, Glyn Evens, also published some Romany books, starting in 1939 with a volume by ‘Raq’, Romany’s dog. He followed this with a Romany detective novel in 1949, and with two further Romany books in the 1950s. Eunice Evens, Romany’s widow, published a biography of her husband in 1946. Another tribute was published by Romany’s friend H L Gee in 1949. Many of these books, particularly the 10 by Romany himself, were reprinted many times during the 1930s, 40s and 50s. Collecting the books – both reprints and the increasingly valued first editions – is discussed on the Collecting the books page. The Society operates a book service which tries to offer as many of these second-hand publications as possible. Second-hand book catalogues on the Internet are a good way to track down books. 1972 The Biggest Aspidistra in the World (by Peter Black). (BBC Publishing) A chapter on the BBC ‘Uncles and Aunties’ describes Romany’s part in Children’s Hour history. 1997 Gypsy from the Forest (by David Lazell). (Gwasg Bryntirion Press) This is a new biography of Gipsy Rodney Smith, Romany’s Evangelist Uncle. It contains a passage about Romany. 1988 BBC Children’s Hour (by Wallace Grevatt). Contains a number of sections about Romany. 1997 Romany Society Magazine Reprints. The original Romany Society journal (1946 – 1965) has recently been reprinted by Macclesfield Borough Council in one volume. 1999 A Romany in Cumberland (Border TV/Arena Broadcast) Striding Edge VHS. Notes on obtaining all these (new and old!) are given on the Collecting the books page. Several new books about, or in the style of, Romany have been published by Romany Society members in recent years. 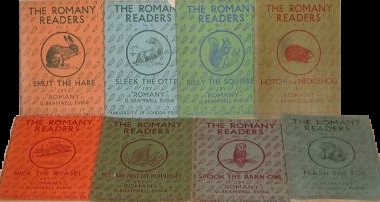 Some facsimile reprints of Romany’s own books for children are also available. A few of the original books area also available as audio-books, read by Terry Waite. These are all discussed on the New books and reprints page.